A German friend once said, “You Americans and your therapists. In Germany I saw a massage therapist once a week. That’s a therapist worth seeing.” I had not yet had a massage, so I was in no position to argue, but in the years since, I’ve come to appreciate the value of a good massage, and if the proliferation of Massage Envy locations is any indication, so has the rest of the East Coast. The first massage I had was given to me as a present, to be done at a fancy, new-agey, wellness center in Cambridge. The lobby had muted lighting, stone walls, and a fountain, a little babbling brook pouring over a tower of smooth rocks; it radiated relaxation. And the experience continued to be soothing, from the background music, to the warmed blanket, to the incredibly strong, gentle, hands whose touch brought to life my friend’s assertion. The next time I went to that wellness center, the original masseuse was not available and they were doing construction. I was directed to a trailer, the kind you would expect to see at a construction site with a Steelcase desk and a couple of guys in hardhats inside. I was relieved to discover that they’d dolled it up with all the appropriate massage trappings, but the soothing music could not drown out the noise coming from the jack-hammers outside, which turned out to be the perfect accompaniment for the woman who was giving me my massage. Whatever she was doing was so painful that I had to bite my lips a few times to keep from crying out. It was the antithesis of relaxing. Years passed, the memory of elbows digging into my shoulders dimmed, and I decided to try again. The place in Cambridge had disappeared, along with all traces of the original masseuse. I visited a few other masseuses and while I never had a repeat of the horrible trailer experience, neither was I able to find the bliss of my original massage. And therein lies the rub. (Let’s pause while we all acknowledge what a great pun that was.) All masseuses are not created equal. I have learned that it is folly to pay for a massage unless you have gotten at least one recommendation from someone you know. If you are reading this, you probably know me. If you don’t know me, but you’ve been reading my blog for a while, you know me well enough. I’m going to recommend a masseuse for you to see the next time you’re in Burlington, Vermont. Genevieve Henry is a massage therapist who has just opened her own practice, Massage Journey. In the interest of full disclosure, I will tell you that Genie is part of my extended family and I would promote her business even if she was selling dog food, but that is not was she is doing. She is giving wonderful, relaxing, restorative massages. And I speak from experience. Genie is a loving, caring, supportive woman. 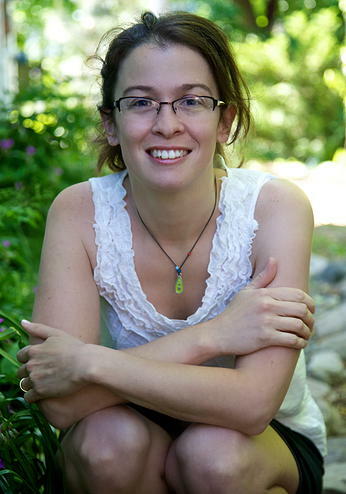 For the past several years, she has been a partner in Birth Journeys, also in Burlington, VT, providing doula services and childbirth education. Imagine having a woman expectant mothers trust dedicating an hour to your well-being. It’s almost worth traveling to Vermont for. I know most of you don’t live in Vermont, but surely you have friends there. Be sure to tell them about Genie and her business, Massage Journey. They will thank you. I promise. This entry was posted in Uncategorized and tagged Birth Journeys, Burlington, Genevieve Henry, massage, Massage Envy, Massage Journey, massueuse, relaxing massage, VT. Bookmark the permalink. A great pun that was! In my experience a massage was more happily received by me when it was more rubbing than elbowing. I had a deep tissue message once that left me in muscular pain for days following. I believe it would be best to work up from a good rubbing massage to a deep tissue message. This would likely require going to the same massage therapist throughout the transition. All in all, there is nothing like working out the muscles needing some stretching!!!! Ah ha! That elbow thing has a name, deep tissue, who knew?